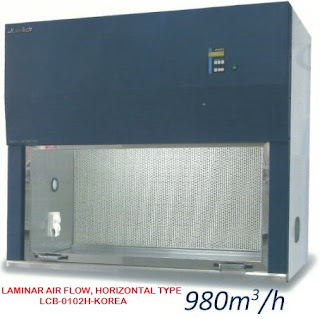 The clean bench is a necessary basic equipment for biologic technical researches and experiments. It is widely applicable in the field of pharmaceuticals, biochemistry, environmental monitoring and electronic instruments for purifying air in the operation area. The shell is made of quality cold-rolling steel with static spray plastics, the operation table is made of SUS304 which is corrosion-resistant and easy to clean. Centrifugal fan which has steady rotate speed and low noise. LCD control system, touch type switch, six steps of wind speed control. Be equipped with UV light and lamp control, timer range of sterilization is 0-999min. Vertical close type table, the down airflow formed in the operation area can prevent the air outside from permeating and keep the operation area clean. Adopts counterweight balance structure to locate the operation window optionally within the prescribed limit. Be equipped with HEPA, the prefilter is set as the medium efficiency filter system to extend HEPA’s life.